Ford Motor Company Genuine Parts are the Original Equipment (OE) parts used by the factory to build your vehicle. There’s no question about quality, fit or function with Genuine Ford Parts. That’s why Al Piemonte Ford recommends always using Genuine Ford Parts for all service and repairs needed to your Ford vehicle. 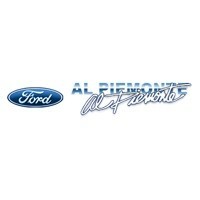 Al Piemonte Ford maintains a huge inventory of new Ford parts and employ’s Ford Motor Company Certified Parts Counter personnel. We stock a large selection of original equipment batteries, brakes, filters, color matched touch up paint, floor mats and general maintenance parts. For your added convenience, we utilize a Computer Parts Display system to quickly search our inventory for what you need. From air conditioner compressors to yoke assemblies, if we don’t have it, we can get it…FAST. Special Orders* can be placed for out of stock items and usually arrive in one or two working days.